A new galaxy awaits, populated by alien beings both fantastic and strange. We have only begun to chart the star systems beyond the recently established Terra wormhole, and while we have made contact with some of the foreign species inhabiting this region of the cosmos, many have yet to be encountered by a human. 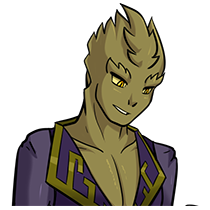 Brave souls like yourself are needed to venture into the unknown, make contact with new races, and establish friendly relations. We are pleased that you have cleared the necessary psychological and physiological screening, ensuring your suitability for the task at hand. We have equipped you with the standard universal translator, an AI companion to guide you in your journey, and have made certain resources available, though once you cross the threshold, your mission's direction is yours to command. As soon as you are ready, you may board the shuttle bound for our first contact point-- Eventyri Junction. 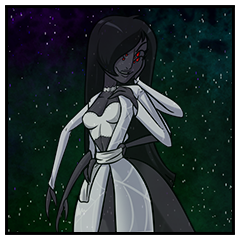 Remember, the future of Terra's status with these unknown beings lies in your hands! Please endeavour to make a favourable impression. Good luck! March's Update - Matcha is now live. 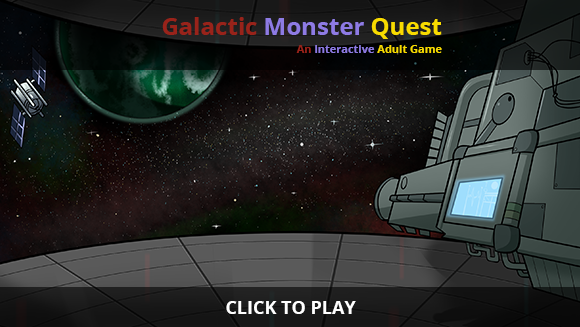 Similar to a dating sim, Galactic Monster Quest focuses on the interaction between you and the characters. Armed with your mighty cursor, point and click your way among planets and space stations, exploring the surfaces and corridors. 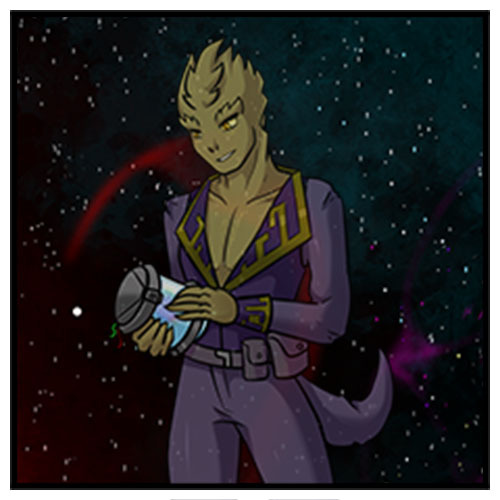 Discover a variety of alien races, striking up conversations with them to earn their trust and friendship. Speaking with characters offers choices in your interaction, and the choices you make will determine that character's feelings towards you. Learn about them, endear yourself to them, or otherwise give them reason to appreciate you, and you may be rewarded with exceedingly 'friendly' relations.. If you've registered an account with us, your in-game tablet will store the contact information of characters you've grown close with, and you can give them a call at any time for a repeat performance! 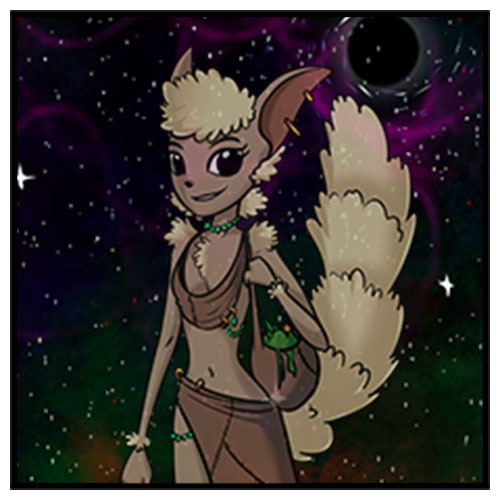 These are just a few of the interesting beings you might encounter out there. More races and planets are being discovered on a regular basis, meaning that there will be great opportunity for further exploring! Evolved from a tree-dwelling species, they have a slender, light-weight and furred bipedal body structure, ranging in average height from 1.2-1.5 meters. 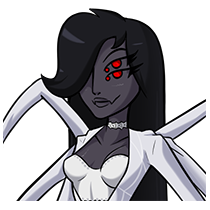 They bear climbing claws on both hands and feet, though the modern variety of the species has shown a regression in the claws as technology has replaced the need for feral advantage. 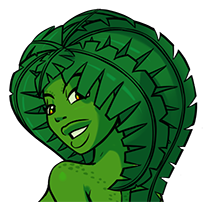 Living in the arid regions of Nuredan close to the equator, the Marmarok are a technologically advanced species capable of interstellar travel, the only race on the planet who have shown this level of advancement. 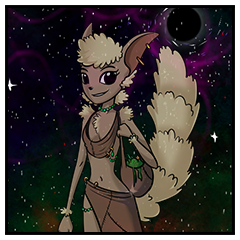 While they initiate trade with the other native races, they guard their technology jealously, as the other indigenous species are deemed not ready for the secrets of the stars. 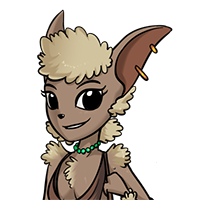 Preferring cool, dry places to the alternately humid or arid climates found on most of Nuredan, the Ozzek tend to inhabit the underground, making their homes in caves, tunnels, and mountains. Intelligent and evolved from a predatory species, they survive on fluid diets, which include the blood of a small herd animal which they farm in their sub-terranean villages. Answer: Galactic Monster Quest has been launched on April 23th 2018. Answer: The best way to help is by spreading the word about the project! At the moment, we are not looking for general assistance applications. However, if you are a background artist, or voice actor/actress, interested in getting involved with the project please feel free to contact support@galacticmonsterquest.com with reference material and a brief cover letter.